Perhaps. That project is a little lower on the priority list, so I probably won't get to it until spring. I'd love to add a ministick to it, but not sure about getting one to fit in the housing. Hey guys.I'm starting to get interested into doing my own set of HOTAS/HOSAS using MMJoy 2, so I'd like to get some insights on what I'm doing. 1. 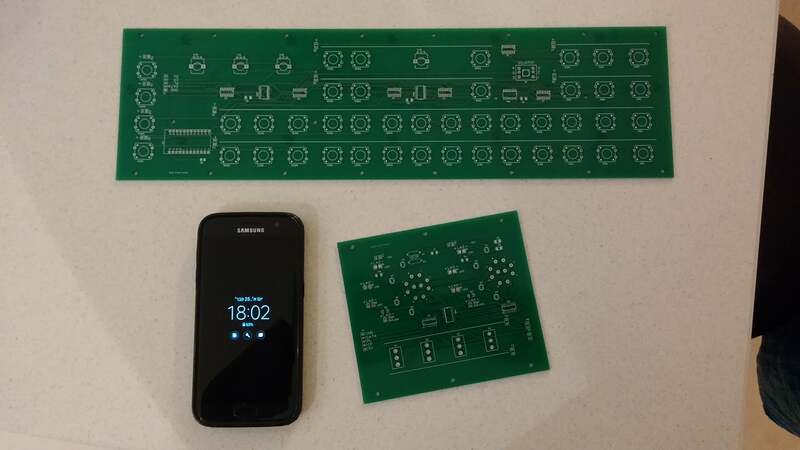 I made this PCB inspired in projects from Debolestis, adding a MCP3208 chip. Can someone tell if there's something wrong with it? 2. I've been looking into some solutions to add a row of 3 shift registers, so I found the Aliexpress shield with the 3 chips, but I'm having doubts with the reliablily of it. 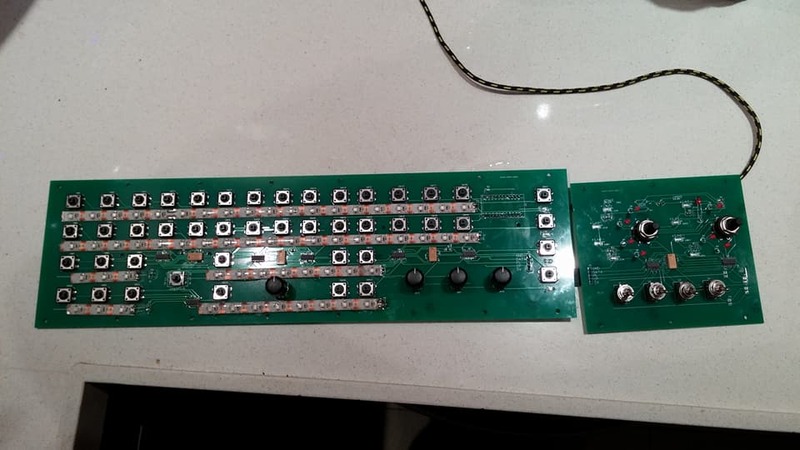 Has someone boughth these boards before from New Hope Eletronics? THe GND below D2 is connected to GND on the right side. D2 on the arduino is connected to D2/IN on the shift register output. I think the silk labeling might be a bit misaligned. I also think the auto routing method I used ended up making it confusing, as it entangled the trails in order to spare on copper. Sorry, I never paid much attention to the 3208 stuff as I knew I wasn't going to use them in my build , I did a quick search in my Conversion Info Folder and the Images below are all I have. There should also be some Layouts in the Firmware's PCB Folder, you may need Sprint Viewer to open the .layouts , it will let you print them too , though their Demo Version wont. Last edited by Kbird; 12/13/18 09:44 PM. I was working this problem concurrently with someone on the #DIY channel of the HOTAS/HOSAS/SIMPIT discord server. He helped me a bit with understanding how the shift register works, and described the different SR pins to me. 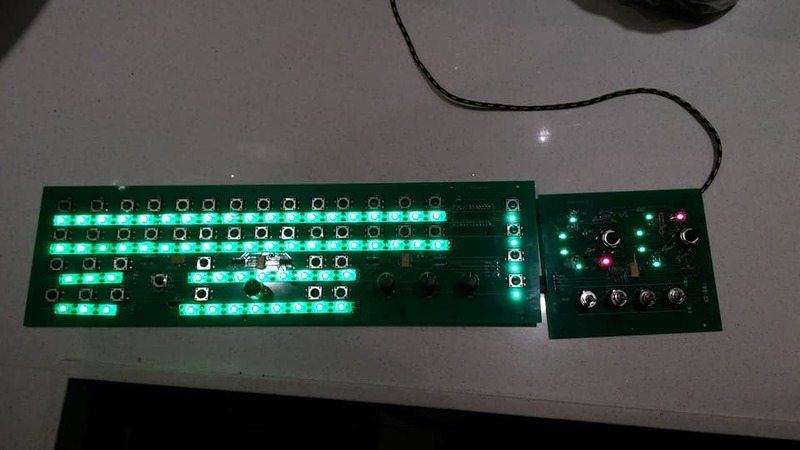 I actually figured out the swapped pins this morning while looking at that last pic I posted with both the diagram and picture reference of the board from the AliExpress store for the shift register. The “S/L” pin is their terminology for CS, and CLK is SCK. Except the labels on the picture representation and on the board itself are incorrect, showing those two pins as swapped. 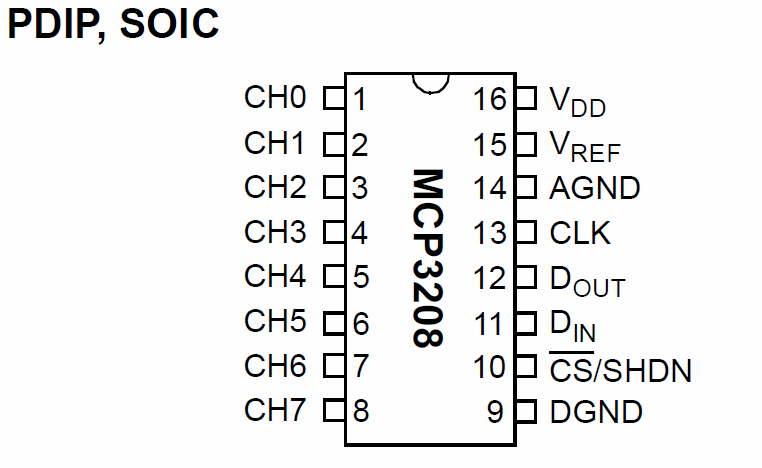 I have only a very basic understanding of what all these pins do, but the fact that I had the same problems with what I thought was the CS (data leg) pin connected, disconnected, or connected to a different pin than specified in mmjoy2, clued me in to the fact that something was off. It was then that I started looking closely at the diagram to verify that things were labeled properly. 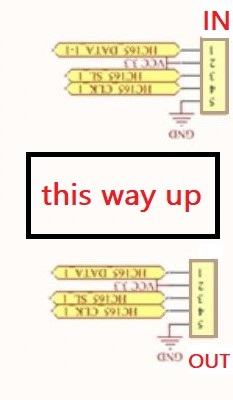 Hi Starfury, I finally had some time to check out your Find of the mislabelling of the SR PCBs and you are right..... the connection diagram for the Input and Output on the Schematic needs to be rotated 180° deg. 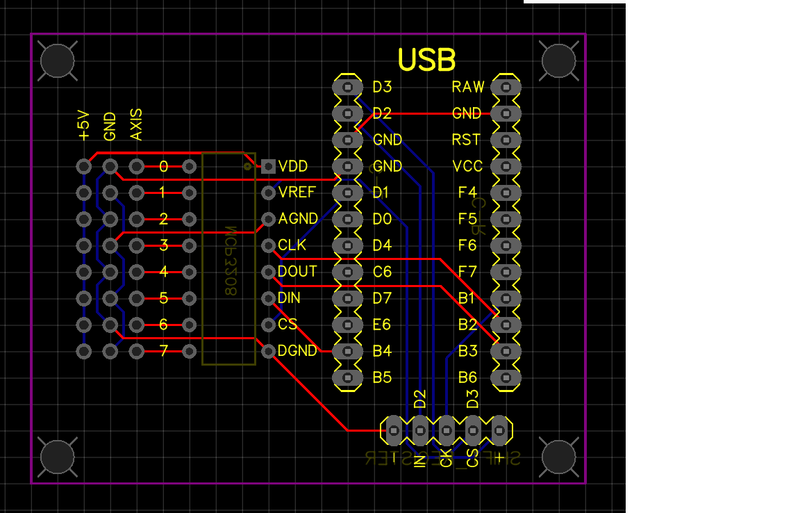 , then everything works as expected including other SR PCB that are daisychained to the 1st . Don't forget to set the number of 74165 Chips in MMjoy2 to 6,9,12 etc if you daisychain or you won't see them. Read the last page of this thread, and the above post. I just bought a pair of these, and they work great after figuring out that the pin labeling is backasswards. 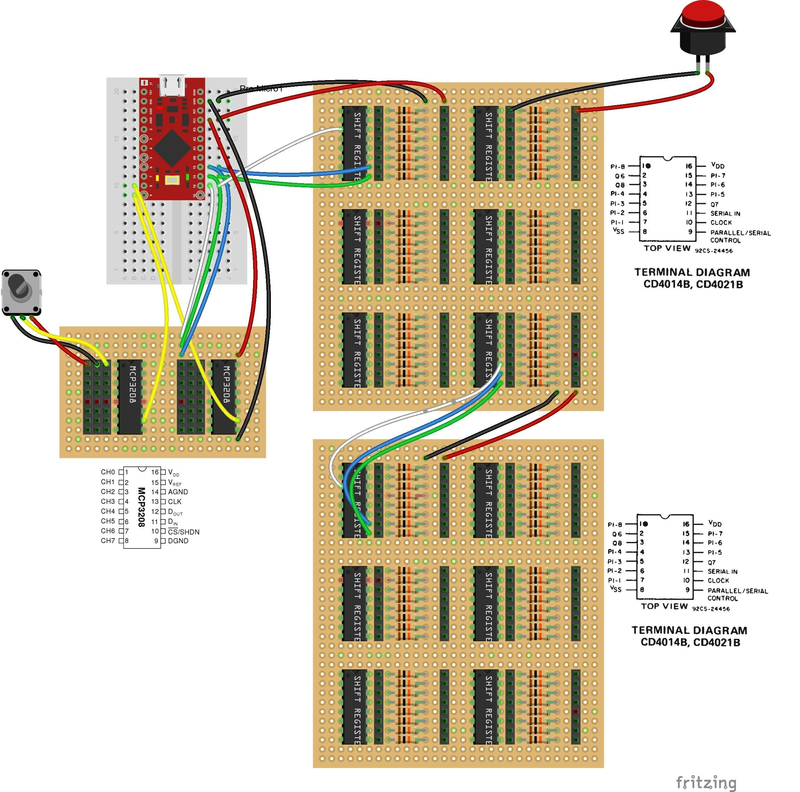 Quick question: if I want to use a potentiometer style Hall sensor like the BI-tech 6127, do I need to do anything special in mmjoy or can I operate it like any other analog potentiometer? No, just select "In(ternal) Source" as input in MMJoySetup and pay attention in Bi-Tech datasheet for correct wiring - HALL sensor don't admit wiring errors like pot. Got it, I’ll give it a shot. Thanks. I did pick up a hall pot with a 360 degree rotation. When plugged into mmjoy, I noticed that, unlike a resistive pot, a hall sensor pot does not have a zero and a 1024 maximum travel. It starts at 40 and ends at 950. Plug the sensor (or pot, etc), calibrate, save, then test. But this small difference is not and issue. I am considering extending mu setup with encoders. is it possible to connect them directly to CD4021 board as normal buttons? No special magic needed? What encoders do you recommend? Last edited by sunrrrise; 01/19/19 01:42 PM. Both based on MMJoy. 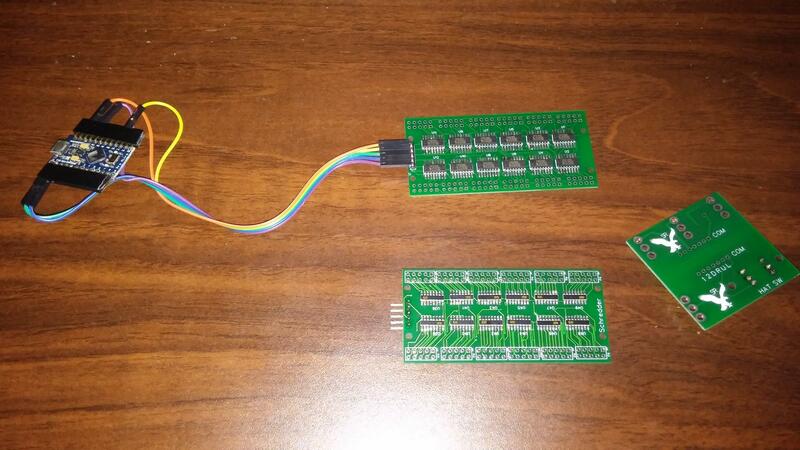 the small one has 96 inputs on a single small board. the other is a full generic input panel( optional with expansion board). Both were designed for a small local community. 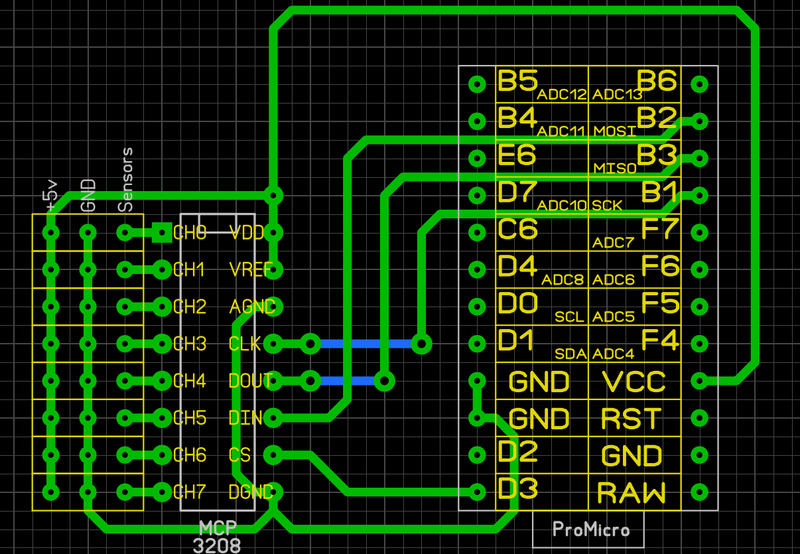 I'ts quite easy to design such boards. if there is an interest of a custom design - please let me know. Google translated, take with a grain of salt. Yes, nothing, somehow it was laid down when the firmware was done in those times. in new versions of VPC (and the firmware of mmjoy2 is being developed now there) the restriction on the number of encoders has been removed altogether (a slightly different button configuration mechanism). I can rebuild the mmjoy2 update. Collect all the wishes and wishes that you want to fix / add / remove - we will think how to make a new thing. Does anyone know if mmjoy and convert analog positions to buttons? For example if I wanted to use a shift button to convert a joystick into a hat switch by clicking it down. Allow set and analog axis to press two buttons, based on % threshold. For example if I wanted to use a shift button to convert a joystick into a hat switch by clicking it down. And set (mini-)joystick push button for "shift". Special modes for buttons up to 64 - actually is up to 32. Possible an new way for connect TLE5010. TLE5010 - I can offer a unique solution about the pull-up resistor on the DATA line (1.5 kΩ), but this will greatly change the circuitry. Will have to swap SEL and DAT. DAT will be unique for each sensor, SEL will be common to all. The controller will poll all TLE5010 at the same time - this will increase performance and reduce delays on the read protocol. Considered not practical add to firmware - mouse and keyboard emulation, RGB control. This could be done with 3rd part soft, e.g. Joy2Key, Joystick Gremlin.